Cobella’s expertise leads a creative and skillful team who use the worlds leading provider of real hair. Top quality, gleaming hair pieces and expert application combined with a unique removal system is the secret of a number of celebrities who only trust a handful of stylists. 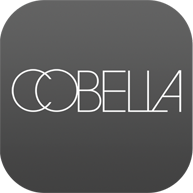 Forget over-thick, coarse extensions; the Cobella expertise creates more of a Parisiene catwalk feel with long lasting colour and natural texture while maintaining the condition of your hair. Visit one of our salons for an in-depth hair extension consultation to determine the number, length and colour of hair extensions required. Hair Extensions Blow Dry from £55 for first 45 minutes after which a charge of £15 per 15 minutes will apply.